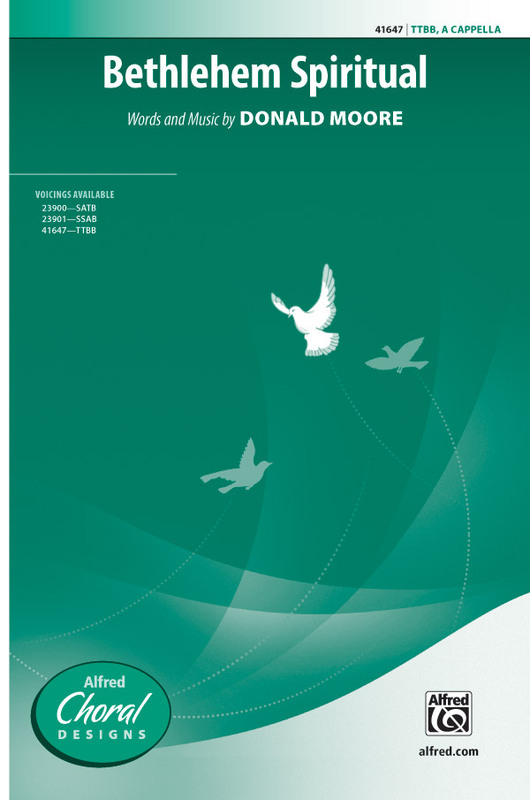 A selection of a cappella gospel music songbooks and sheet music arrangements. 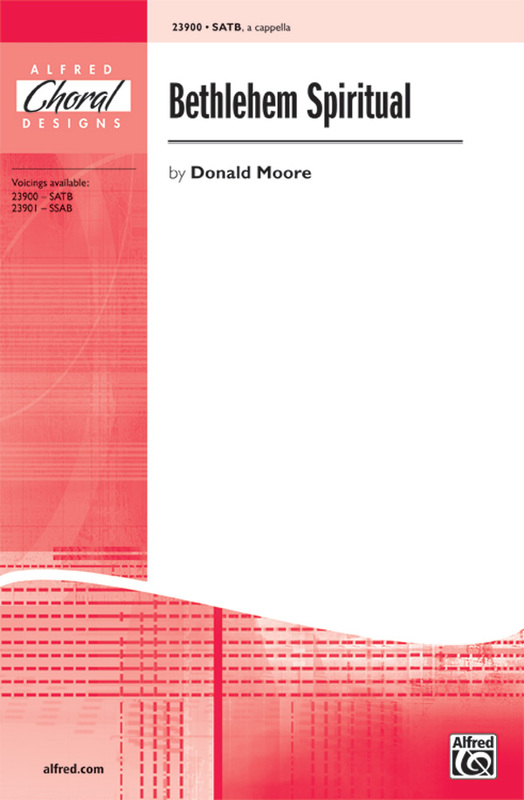 This collection showcases five of Undine Smith Moore's spirituals edited by Anton Armstrong and includes an instructional forward written for this newly-engraved edition. "My primary purpose in this effort is to preserve the rich heritage and the expressive power of the spiritual, while making the music accessible to most amateur and professional choral groups." -Clayton White From the Forward. 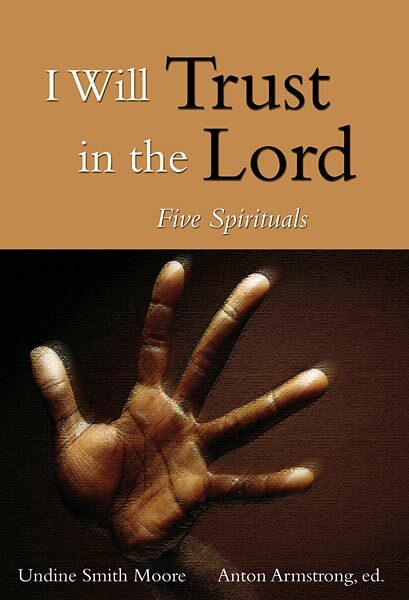 These are some of the finest and most practical arrangements of spirituals ever published. Superbly arranged with an authentic choral sound. 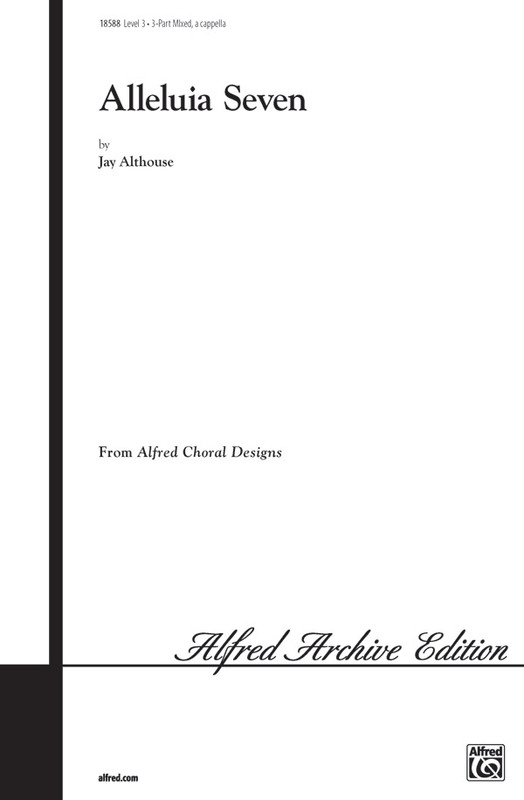 Priced to be affordable for the entire choir, with quality printing to last for years to come. Joseph Jennings, long-time music director of the multiple Grammy winning a cappella ensemble Chanticleer, has always had an affinity for spirituals and the group has many wonderful recordings of Jenning's arrangements. 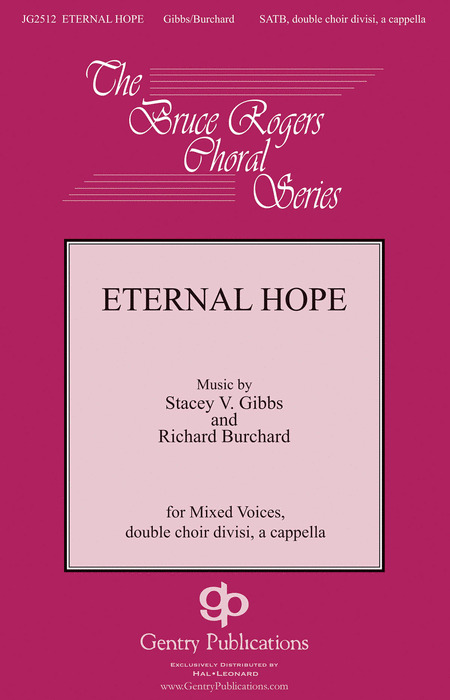 This collection for mixed voices a cappella are bound to please. With a foreward by Andre Thomas, this collection of Moses Hogan spiritual arrangements is a welcome addition to any director's library and is a fitting tribute to to this great American composer and conductor. Includes: Ain't That Good News, Didn't My Lord Deliver Daniel?, Ev'ry Time I Feel the Spirit, Ezekiel Saw the Wheel, I Couldn't Hear Nobody Pray, Joshua (Fit the Battle of Jericho), My Soul's Been Anchored in De Lord, Ride the Chariot, This Little Light of Mine, We Shall Walk Through the Valley in Peace and 26 more. Moses Hogan's contemporary settings of spirituals, original compositions, and other works have been enthusiastically accepted by audiences around the globe and have become staples in the repertoires of high school, college, church, community and professional choirs everywhere. Here is a taste of some of his best work. More of Moses Hogan's most exciting arrangements. Eleven superb arrangements of classic and lesser-known spirituals covering a wide range of styles and moods, from simple four-part settings to extended eight-part compositions. These stunning settings can be performed as a set or individually, and are ideal choices for concerts, festivals, or even as surprising encores! A cappella with rehearsal keyboard. Rediscover the fine arrangements of Robert DeCormier in this elegant new collection of five of his best-loved spirituals. This hardbound treasure is a goldmine of hundreds of historic hymns rendered in the traditional shape note style. Essentially, shape notes consist of four shapes - triangle, square, oval and diamond - which correspond with a syllable: fa, sol, la and mi. These shapes and syllables are then associated with notes on a scale. This system, and the Shape Note singing books such as the Sacred Harp (which was originally published in 1844), were ubiquitous, particularly in the South, in the 18th and 19th centuries. Music was an integral part of the camp meetings and revivals of the period, and the shape note method was intended to simplify the reading of music, so that anyone so moved could participate. The thematic content is almost exclusively religious in nature, reflecting the predominant attitude of the composers, as well as the publishers, of the time. The polyphony of the shape note is characterized by lively chordal movement, and dyadic harmony based on fourths and fifths, often in parallel. Contemporary renditions, sung in the shape note style, can be heard on the soundtrack to the Civil War film, "Cold Mountain." 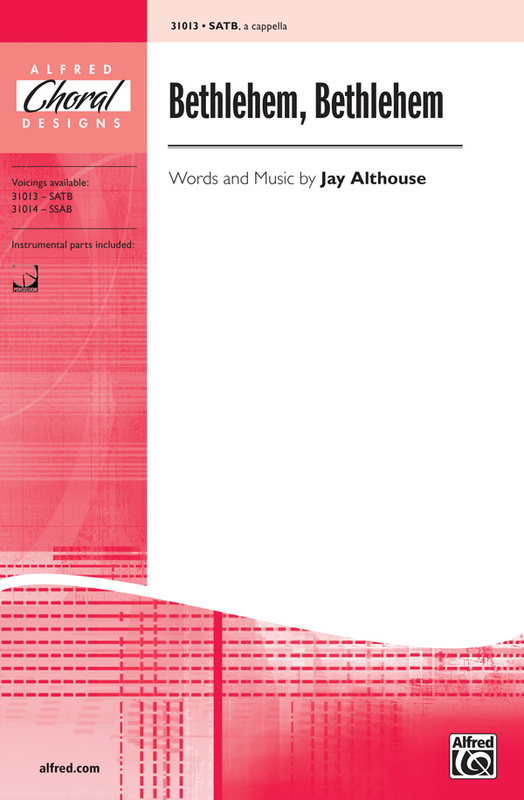 The book also includes an introductory section entitled the "Rudiments of Music," a thorough primer in the fundamentals of theory. Updated in 1991 with the addition of 62 songs, "The Sacred Harp" will keep a group of part-singers entertained for years. Can also be used by those accustomed to conventional notation. Beginning choirs will love the imagery and contemporary harmonies in the a cappella original "A Pawnee Prayer". Perfect for contest or concert use, the optional hand drums provide additional rhythmic background. "Ezekiel Saw The Whee"l - An invigorating adaptation of one of the great spirituals! "Plenty Good Room" - Using jazz articulations in an exuberant spiritual style, this original provides an exciting dimension to choral programming! "When It Was Yet Dark" - Set to a beautiful old hymn tune from an 1855 collection, this piece offers much scope for phrasing and word painting as the singers recreate the setting from outside the tomb, and explore the psychology of one of the Bible's most famous and timeless characters, Mary Magdalene. "Who Rolled The Stone Away?" - This exciting arrangement of a traditional gospel swing is full of accents, scoops and body percussion that will challenge your choir to internalize the lively and spirited gospel style. Songlist: No Room, I Am The Vine, When I Was A Child, Grace Be With You, They Shall Soar On Wings Like Eagles, My Heart Is Steadfast, O God! From the Mark Foster catalog, "Take My Mother Home" is an especially pictorial and dramatic spiritual for Holy Week. Craig Westendorf has chosen an expressive melody to recall Christ's concern for His mother. It is direct and powerful without sentimentality. Sung a cappella with baritone soloist, the repetitive use of the word "nailin'" beneath the second verse is particularly effective. Take My Mother Home could be used within the context of the passion reading by liturgical churches and is also suitable for Lent or Holy Week. All congregations will find this poignant and unique anthem to be a dramatic and moving addition to worship. A tremendously joyful anthem about "kingdom come"! Roy Belfield has artfully arranged this light and bouncy spiritual, "I Want To Be Raedy," with wonderful interplay between voices. Optional solos give soprano and/or tenor stars a chance to shine, and a middle section split between four-part women and four-part men gives each section a chance to really show what they've got! I Want to Be Ready has contagious energy, and such a wonderful picture of heaven-what unbridled happiness when we "walk in Jerusalem just like John." "Climbin' Up The Mountain," is newly arranged by Russell Robinson in a robust a cappella setting with solo opportunities. 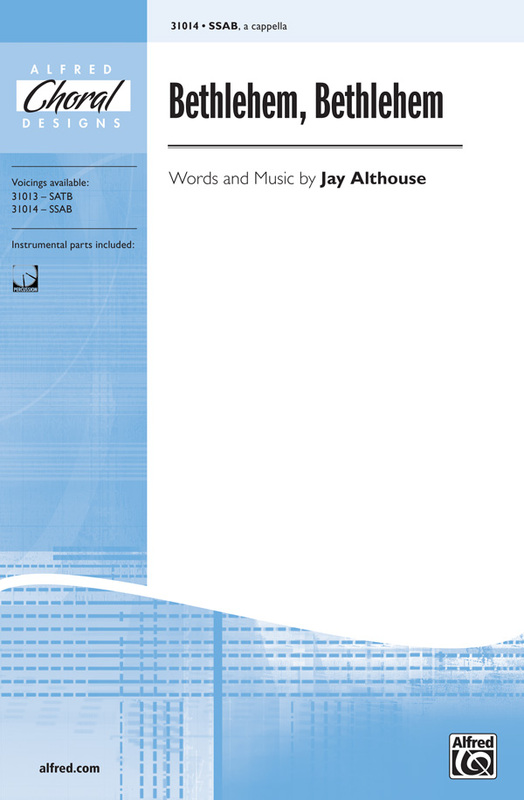 With its repetitive sections, this piece is not difficult; however, with the exciting key change and strong ending, the singer and listener are captured by the sound and energy of this great arrangement. This unusual, traditional spiritual is not often found. Phil Kern has arranged this exciting, version on "Don't Let Nobody Turn You" which makes its mark with a driving, hushed energy, fantastic solo lines and an ending that will set your audience on fire. This arrangement is smart, musically exciting and fresh. Also included in this package are "Hush! Somebody's Callin' My Name," "My Soul's Been Anchored In De Lord," and "Take My Mother Home." The familiar portions of 'Dem Bones' dance delightfully and are surrounded by meaningful choral statements, especially the ending 'Breathe On Me Breath of God.' The title of 'Ain't That News' is a tribute to the superb Staple Singers, who dang a piece by that name, not otherwise quoted in this chart. The opening seven measures are an adaptation of an old Paul Robeson 78. The rest of the piece is original material intended to pay homage to both the black church and black popo music, just one of the many genres that owes its soul to the spiritual. The composer states, "My goal is to allow even the most demure chorister to have at least a little taste of what it would be like to be Aretha Franklin." Donald R. Frderick's arrangement of 'Deep River' is short but sweet with beautiful 4 part harmonies. The beautiful sound of 'Bright Mansions' is brought to life with great excitement in K. Lee Scott's arrangement. Multiple sections featuring only male voices and a soaring descant towards the end of the piece make this gospel tune a true gem. Rosephanye Powell has become one of the most popular new choral writers to burst on the scene. 'Drinking of the Wine' was commissioned by the Truman State University Chorus, conducted by R. Paul Crabb. The text weaves together stories from the Bible with images of the hardship of life. 'Swing Low, Sweet Chariot' is treated in an expressive, upbeat and playful manner in this arrangement. It is rhythmically challenging - a pervasive triplet feel with some interesting and unexpected twists. In Witness, the men and women start in a call and response fashion, the next change comes with a fun walkin bass line with the rest of the voices singing beautiful harmonies... this is a fun tune! The rhythmic and expressive setting of the well known Spiritual, 'Rockin' Jerusalem' is a tribute to the work of Dale Warland. 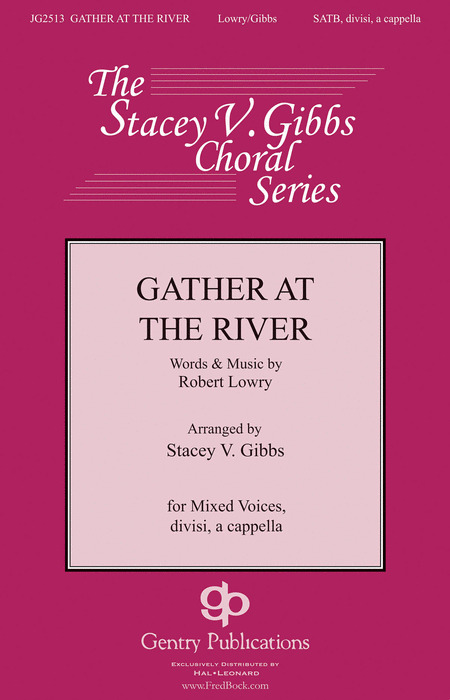 This arrangement will make an inspiring concert work for a skilled A Cappella choir. Originally, 'Wade in the Water' was a code song of the African-American slave that cautioned slaves to travel by water on their journey to freedom. Powell's arrangement captures the drama with beautiful harmony and powerful dynamics. The light humming of harmonies that start 'Somebody's Knockin' At Yo' Do'' will give you an idea of how exciting this piece could become, and sure enough it doesn't faulter from that expectation once throughout the song, this is a fantastic arrangement! Moses Hogan's contemporary settings of spirituals, original compositions, and other works have been enthusiastically accepted by audiences around the globe and have become staples in the repertoires of high school, college, church, community and professional choirs everywhere. 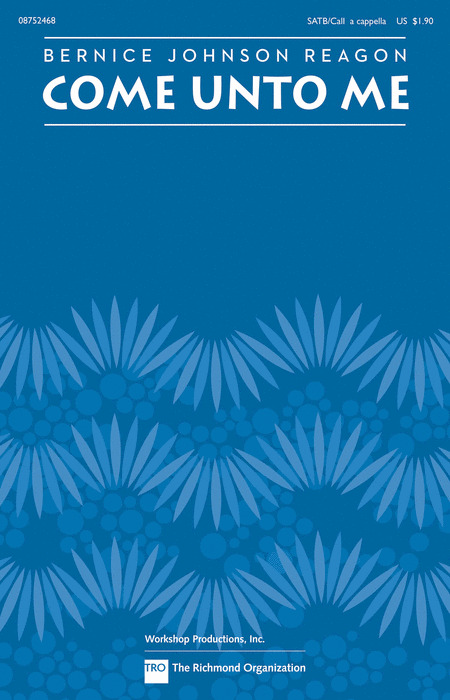 This joyful spiritual features a baritone soloist in a call and response with the full choir. Increasing in momentum, the choir builds to a final chorus of Cert'nly, cert'nly cert'nly Lawd! Available: SATB div. a cappella. Approx. Time: 3:00. This familiar spiritual gets the classic Moses Hogan treatment in this new release. 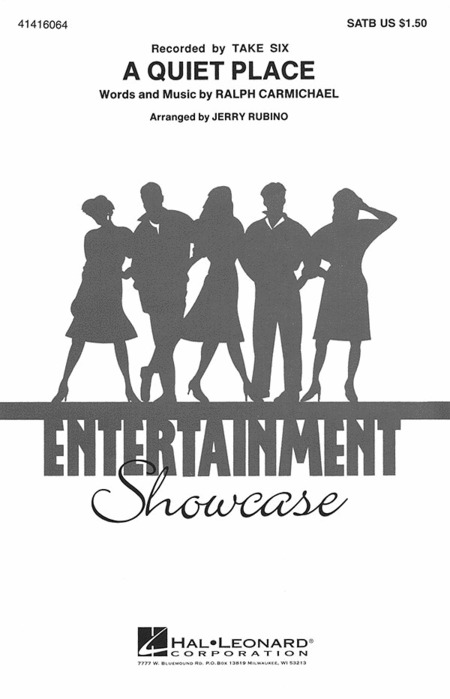 Brilliant choral writing coupled with your choir's musicianship will make this one a success! Unique harmonies, dynamic accents and contrasts, and a message of deeply felt emotion pours forth in this moving spiritual setting. Available: SATB divisi a cappella. Performance Time: Approx. 5:20. Moses Hogan's contemporary settings of spirituals, original compositions, and other works have been enthusiastically accepted by audiences across the globe and have become staples in the repertoires of high school, college, church, community and professional choirs everywhere. The favorite children's song gets a bit of a bluesy treatment in this setting that is easily accessible by many choruses. Features a baritone solo. This challenging and powerful work was performed by the 1995 Texas All-State Choir conducted by Dr. Andre Thomas. Premiered at the ACDA National Convention in 2017 and written for the Bruce Rogers Series, this piece is a first in many ways. Stacey Gibbs, the reigning king of Spiritual arrangements and Richard Burchard, the modern day motet master, have teamed up and produced this remarkable piece that delivers both of their styles, and without compromises. Opening in Latin with Burchard's setting of Romans 18:21, one expects a beautiful and serious anthem. But the next statement comes from Gibbs in a setting of How Long? that turns the corner. Soon thereafter the choir divides in two and both styles are sung together. It is a stunning achievement that works to a glorious conclusion. Great for festivals and concerts with advanced high school, college and community choirs. Medium in difficulty. 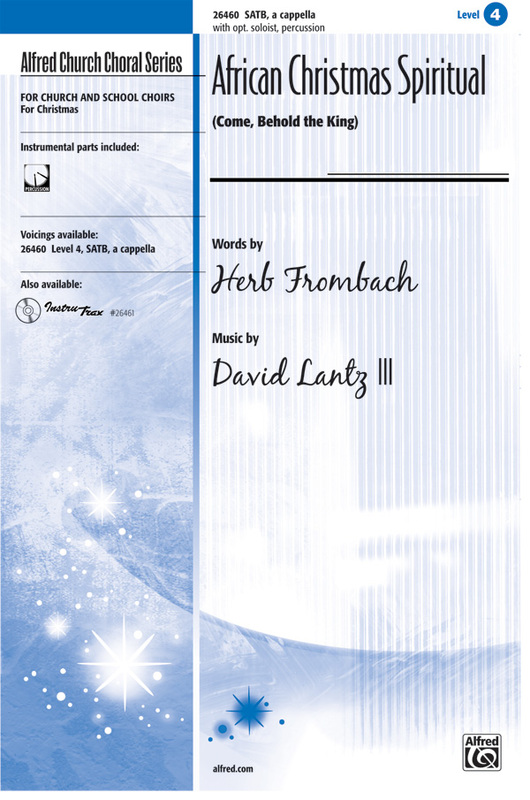 Experience this fiery work and "feel the Spirit" add vitality to any choral program. Some definite touches of humor are clearly displayed in this contemporary setting of a traditional favorite. From the call and response between sections to the sound of the wheel-a-turnin', this arrangement will bring your listeners to their feet! Premiered at the ACDA National Convention in 2017, this is a glorious arrangement. Stacey has delivered a new setting of a favorite American hymn teeming with those rich and luscious harmonies that make you swoon. The vocal ranges stretch high and low and the sounds are rewarding. Advanced high school choirs, like the group that commissioned it, as well as college and community choirs will love this piece. Medium in difficulty. 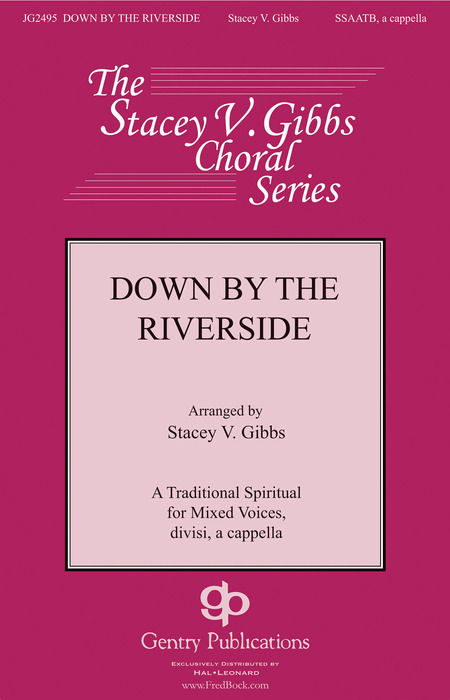 Stacey Gibbs is perhaps the most popular arranger of traditional spirituals today. Creative ideas with harmony and rhythmic accompaniment make his treatments stand out. Choirs enjoy the familiar tunes with original artistry. This setting is best for college and community choirs or festival performances.